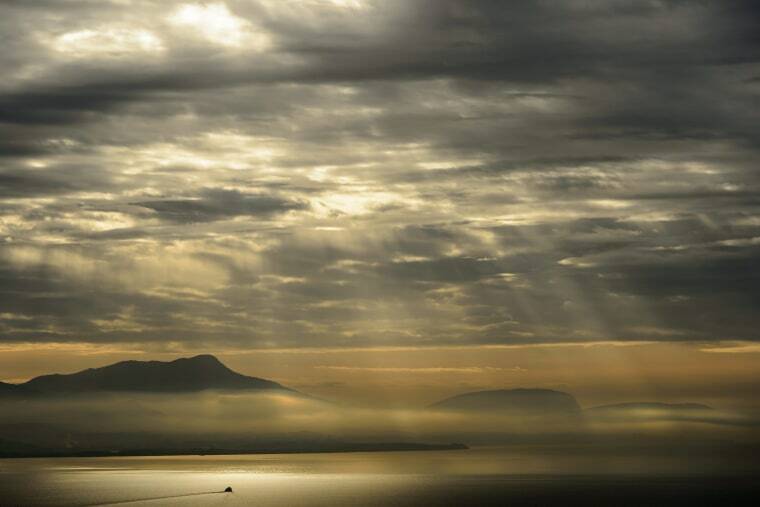 A boat cruises on the lake Geneva near Lausanne, Switzerland as the sun breaks through the clouds on Wednesday. 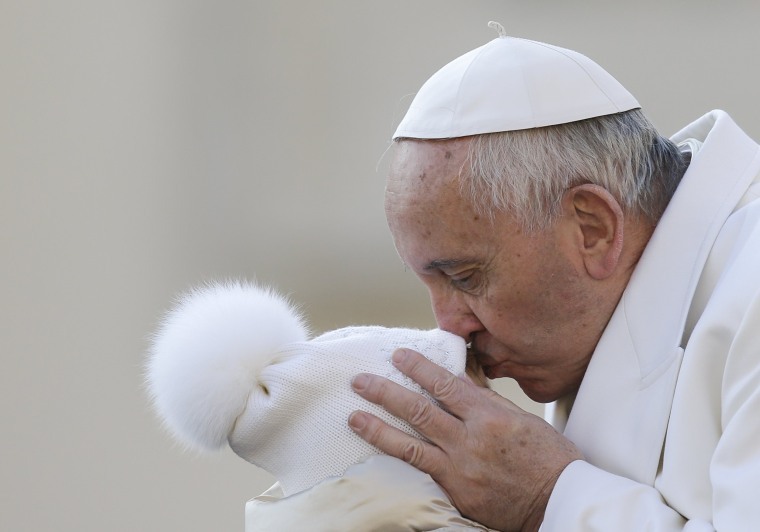 Pope Francis kisses a child upon his arrival for the weekly general audience at the Vatican on Wednesday. Pope Francis enters his 80th year on Thursday. 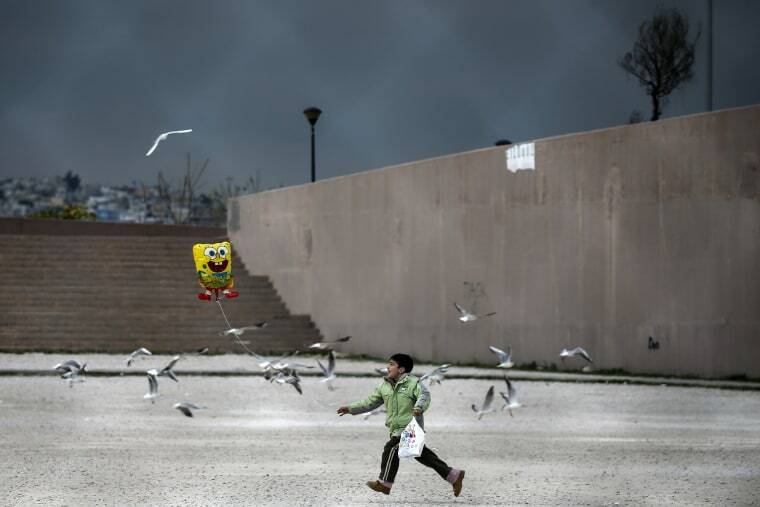 A migrant boy runs while holding a balloon outside the Tae Kwon Do stadium at the southern suburb of Faliro in Athens, Greece on Wednesday. 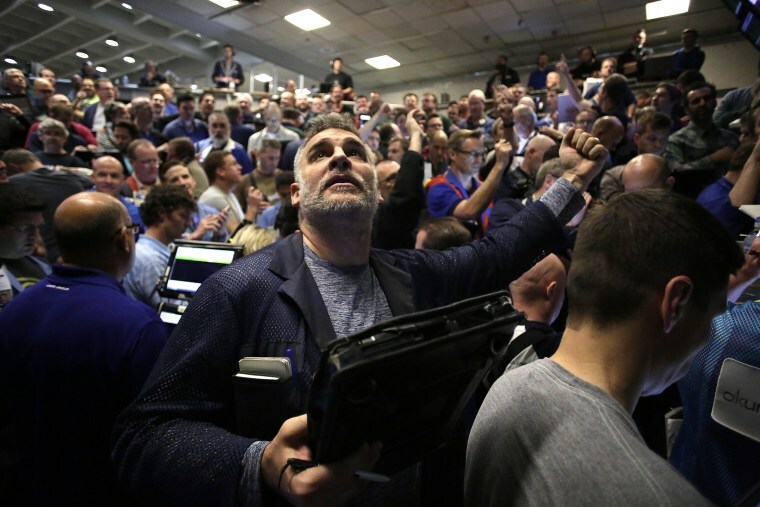 Traders in the Standard & Poor's 500 stock index options pit at the Chicago Board Options Exchange react after it was announced that they Federal Reserve would increase interest rates in Chicago on Wednesday. The Federal Reserves raised the interest rates for the first time since 2006 by 0.25 percentage points. 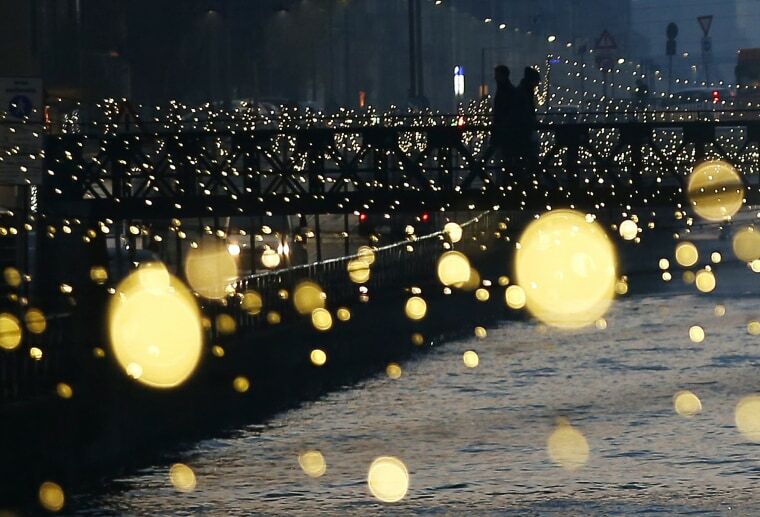 People walk on a bridge as Christmas lights illuminate the Darsena dei Navigli, the neighborhood named for the canals that run through this area of Milan, Italy on Wednesday. 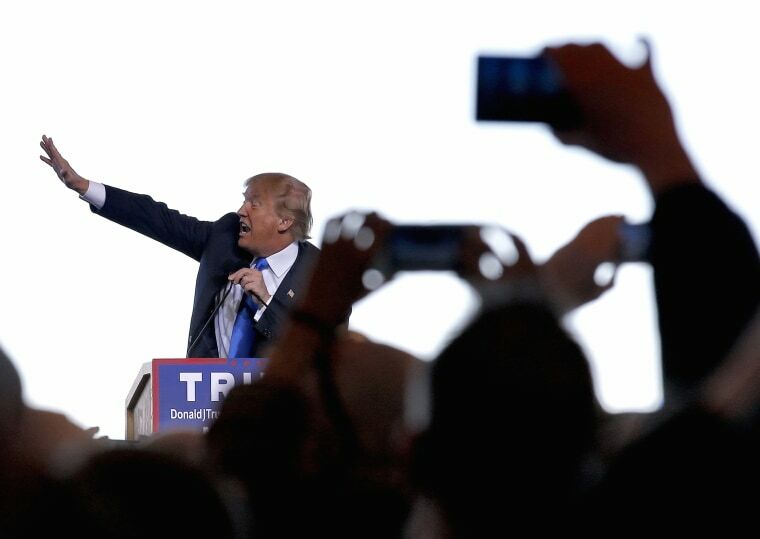 Republican presidential candidate Donald Trump gestures as he speaks at a campaign rally on Wednesday in Mesa, Ariz.
People exercise as the sun rises in Kandawgyi park in Yangon, Myanmar on Wednesday. 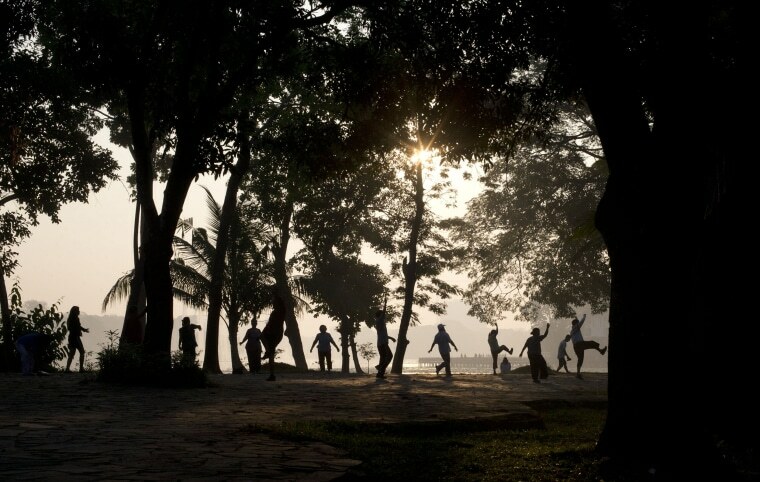 The 150-acre Kandawgyi lake surrounded by a 110-acre park is a major recreation area for Yangon residence during the dry and relatively cool months of December to February. Men in ceremonial uniforms use ropes to pull a carriage transporting the royal urn containing the remains of Thailand's most senior Buddhist monk, the late Supreme Patriarch Somdet Phra Nyanasamvara, in Bangkok on Wednesday. 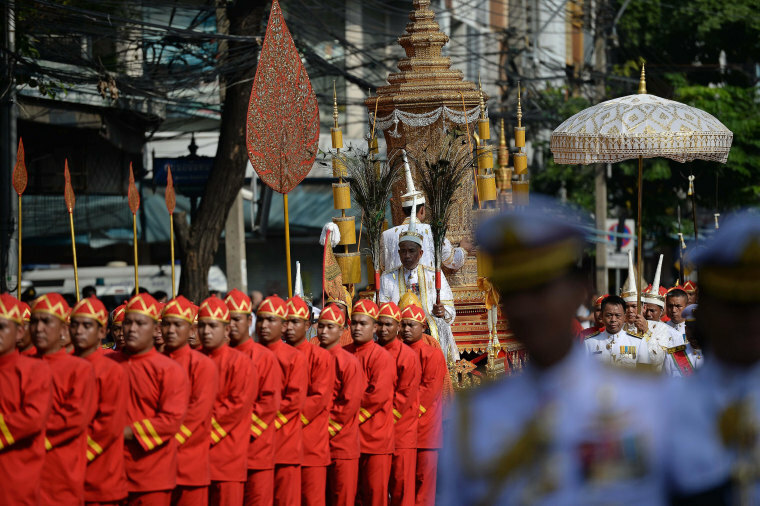 Thousands of people lined the streets of downtown Bangkok on December 16 as the carriage transported the royal urn of the late Supreme Patriarch, who died in 2013 at the age of 100, ahead of the cremation ceremony. 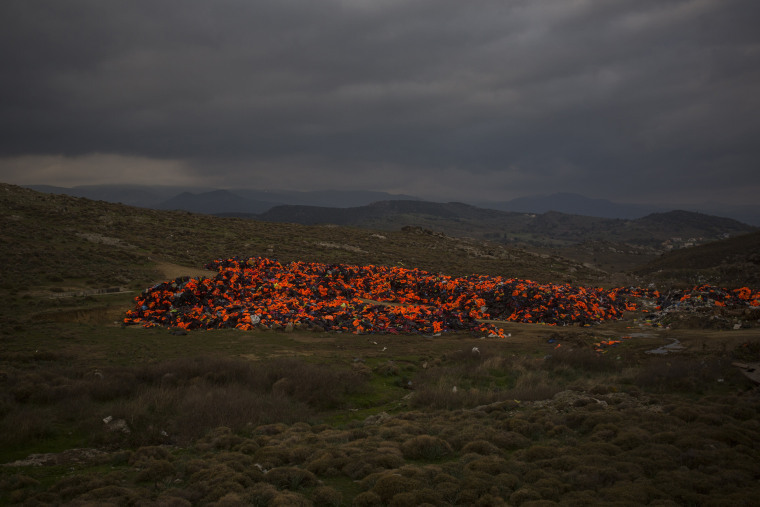 Piles of life jackets used by refugees and migrants to cross the Aegean sea from the Turkish coast remain stacked on the northeastern Greek island of Lesbos, on Dec. 16, 2015. 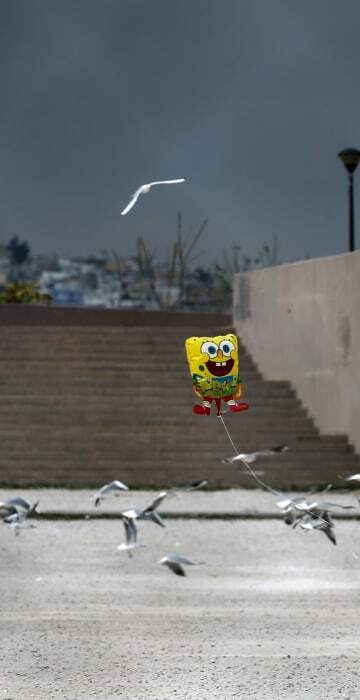 Greek authorities say two people have drowned and 83 others have been rescued after a wooden boat crammed with refugees sank in the Aegean Sea off the eastern Greek island of Lesbos.